You'll be £6.00 closer to your next £10.00 credit when you purchase Tracing Your Coalmining Ancestors. What's this? Yet family historians often have problems in researching their mining forebears. Locating the relevant records, finding the sites of the pits, and understanding the work involved and its historical background can be perplexing. That is why Brian Elliott's concise, authoritative and practical handbook will be so useful, for it guides researchers through these obstacles and opens up the broad range of sources they can go to in order to get a vivid insight into the lives and experiences of coalminers in the past. His overview of the coalmining history – and the case studies and research tips he provides – will make his book rewarding reading for anyone looking for a general introduction to this major aspect of Britain's industrial heritage. His directory of regional and national sources and his commentary on them will make this guide an essential tool for family historians searching for an ancestor who worked in coalmining underground, on the pit top or just lived in a mining community. As featured in Who Do You Think You Are? Magazine and the Barnsley Chronicle. The text is punctuated with research tips and case studies, for each chapter there is further reading suggested and the book is complete with a comprehensive index. There is a wealth of information in this concise and authoritative handbook which will be invaluable to social and family historians seeking to learn more of the lives and work experiences of mine employees. The author uses many case studies and extracts from miners' own stories to illustrate his chapters which cover topics such as the different jobs in the industry, the miners' working lives, accidents and disasters, diseases, the employment of women and children, trade unions, mining during the world wars and 'ephemera and memorabilia'. This is a comprehensive and practical introduction to researching coal-mining history and its workers. There is a directory of national and regional sources with lists, by chapter, of further detailed reading and research suggestions. A meticulous mixture of social and family history. Mining life created close communities. We learn about the close relationship between mining and the labour movement, miners at war and the role of women and children. Whether or not you have mining connections, this is an interesting socio-economic read. 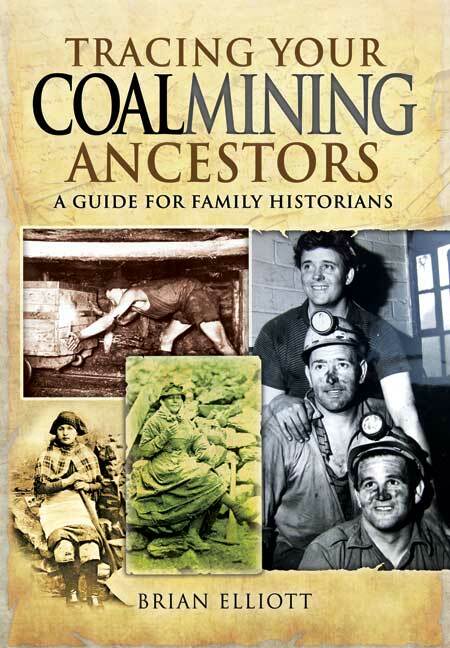 A useful guide for anyone with a coal miner in his or her family tree. Brian Elliott was born in the village of Royston near Barnsley and spent his childhood in neighbouring pit village Carlton where his father worked as a miner. Leaving school early, Brian's first job was in professional football, then in local government before starting a career in teaching and Further Education. It was whilst at teacher-training college that he developed a passionate interest on local history, inspired by one of his tutors, who subsequently became a great friend, David Hey. Brian's B.Ed dissertation was on the Oaks Colliery, particularly the great disaster of 1866. A freelance writer and editor for many years, Brian has published many books and articles on local and regional history, as well as initiating and developing series such as Aspects of Local History and Mining Heritage for the well-known Barnsley-based publisher Pen and Sword Books. He has also appeared on BBC Radio Sheffield on many occasions and has made contributions to BBC Radio 4, BBC and ITV local news programmes. He is a founder volunteer member and trustee of the recently opened Experience Barnsley people's museum and Discovery Centre. Though now retired, Brian continues to research and write articles and books, for Pen and Sword and Script Media especially relating to coalmining history and has recently developed an interest in the remarkable contribution of miners during the Great War. Before Brian's father died he recorded an interview with him as part of the research for the book Yorkshire Mining Veterans. This and many other interviews with former miners are deposited in the National Mining Museum for England's oral history archive.